2ReVert: WoW! We've had such a busy time! WoW! We've had such a busy time! So busy lately, but way happy about that! We hope to be posting on the blog more and keeping this page updated with new and upcoming items. 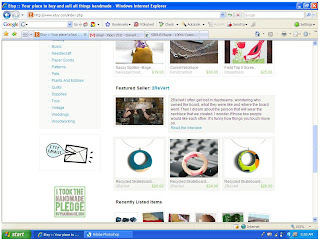 We were a "featured seller" on Etsy, which was amazing and we loved every minute of it. We had an incredible 70 sales in 48 hours, so little sleep and so much work and we loved every dang minute of it. Here's a shot of what the front page looked like that day!